So aren't these cute??! 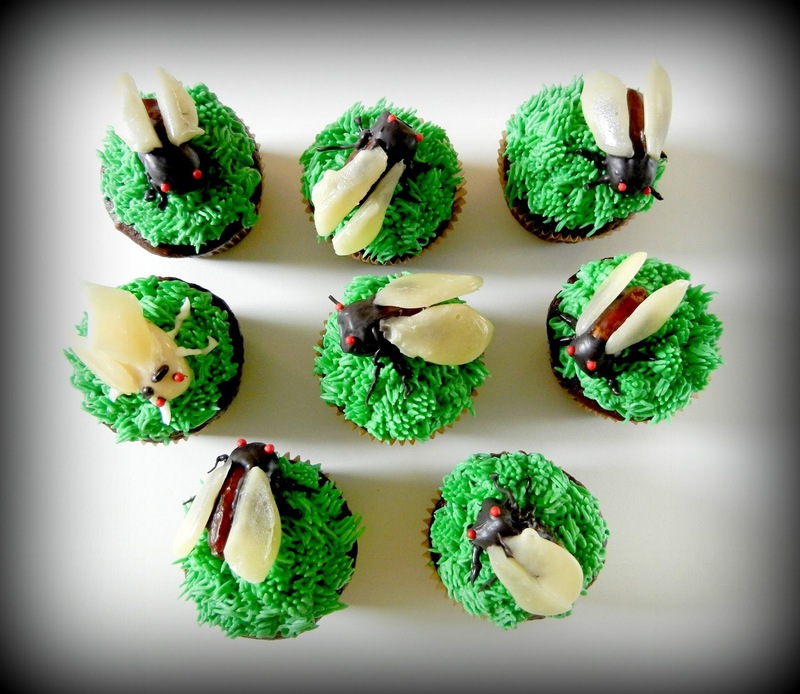 Bugs, but more specifically for the entomology fans out there, these bugs are supposed to be cicadas. You probably are more familiar with the sound of them in the summer when the temperatures get super hot or you may notice the shells hanging around hear and there after they shed them and molt (fun!). 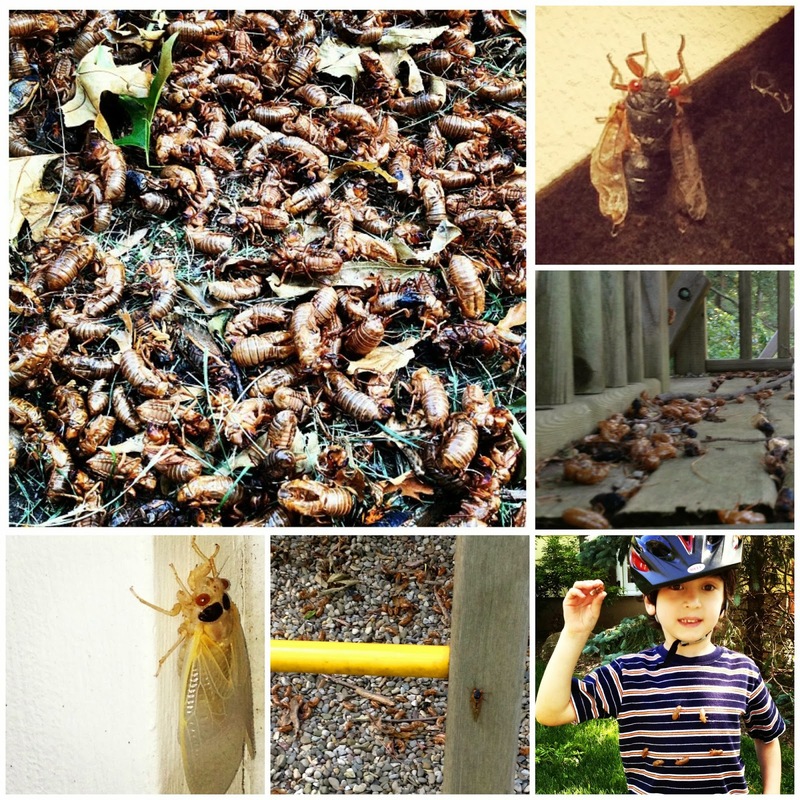 BUT, if you were in select areas of the east coast this June, you may have been subjected to the CICADA INVASION OF 2013!! What is the cicada invasion you ask, well it's when tons of a certain species of cicada (magicicada) emerged after 17 years of being underground to get some cicada booty action and then die. A crazy month or so of nothing but cicadas. From top left, shells all over the yard, that's a cicada with beady red eyes, more shells on the kids' playset, cicadas are white when they first emerge from their exoskeleton, more shells and carcasses, my kids liked to wear the shells as accessories! At first I was pretty amazed by the cycle of life, but got over that fast enough after a few weeks of stepping over dead carcasses! Plus they are slow flyers so it was a little silence of the lambs at times. These guys were were pretty much everywhere, but only in select places - like if you have big trees in your yard as they apparently live on the roots while underground. Of course I then decided to make some. Start with some dates. 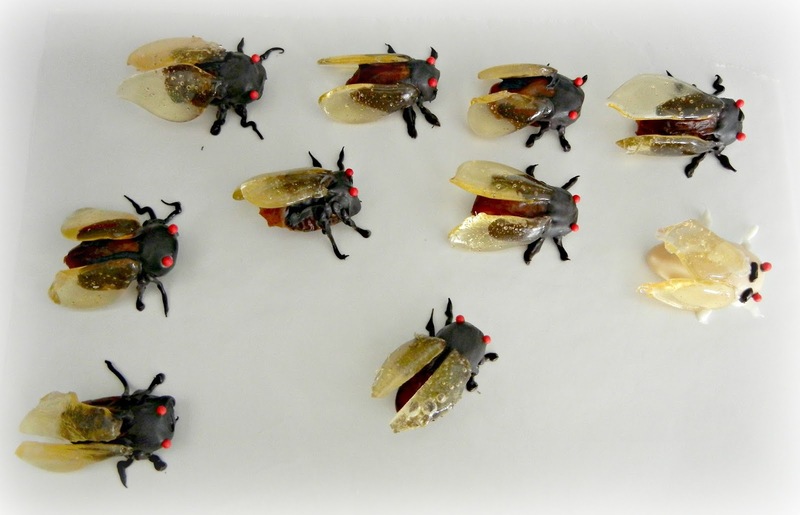 They are perfect size and look of a cicada body! 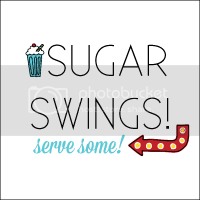 And then add sugar candy wings. I melted sugar in a sauce pan on high heat until it got nice and thick. Then just dripped the sugar with a spoon into some wing shapes onto foil. Let harden. Ta-da! Cicadas! Then just plop them on top of some cupcakes. And if you're wondering, "what's with the super creepy white one??" Well that's what they look like when they first emerge from their exoskeleton shell. Ick. And to make the white one (because I know you were wondering) just use a vanilla tootsie roll as the body, just microwave it a little so you can make it the shape you want. All the rest is the same. 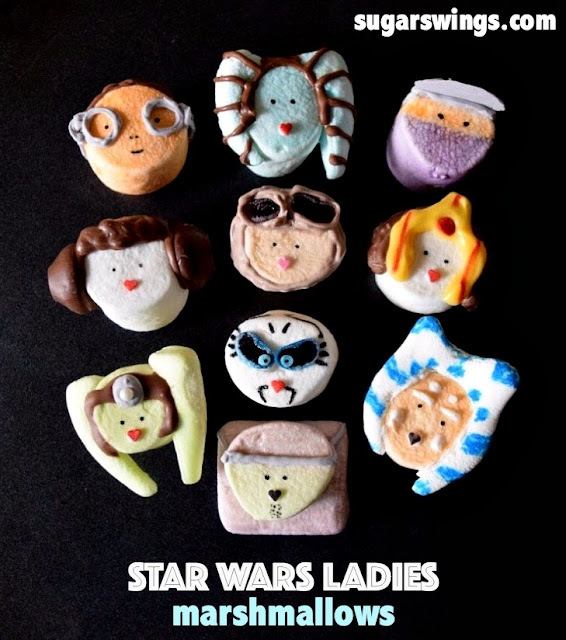 I know you can't wait to go make these now! And you have plenty of time before Halloween! A nice addition to any creepy crawly parties. For anyone interested, here is an awesome video to show you the amazing process the cicadas go through every 17 years - I wonder if I'll be in this house the next time they come around?! Hope you enjoyed the bugs and welcome to Fall! Temps are definitely a little chilly in Jersey now so it's officially change of season time (goodbye flip flops). Awesome! My boys would love these!! Seriously brilliant! I can't stand the bugs in real life but this is hilarious! I know right? I don't touch IRL either! That is so totally nasty and so totally cool! Great job! Thank goodness we don't have these here but my sister talks about them all the time. Yikes! thanks! my mom thought they were real when they were on our counter :) My family thinks I'm a little nuts now, haha! 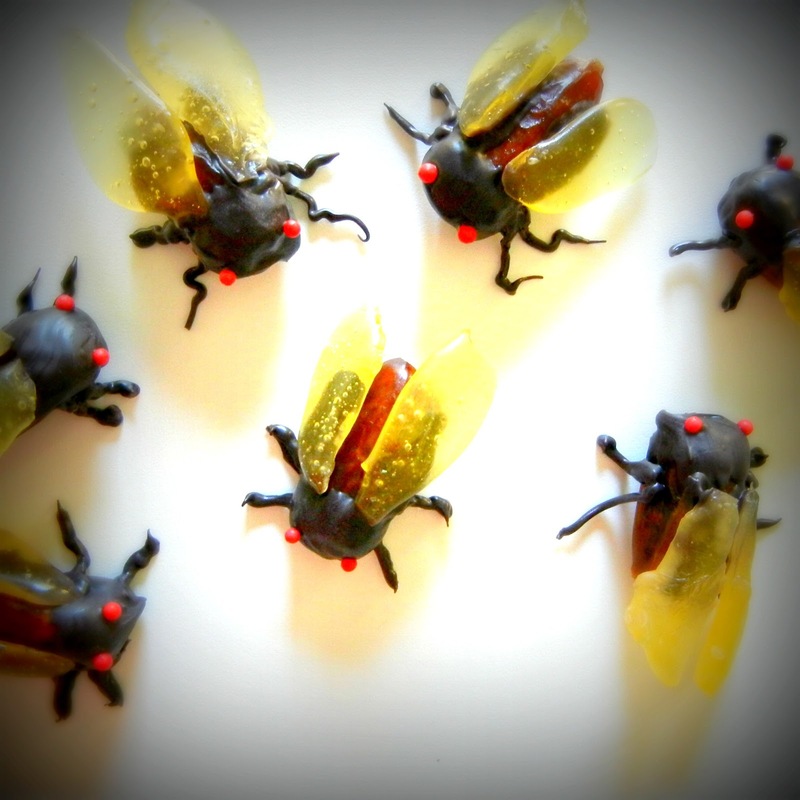 Eww, I hate cicadas, but these are hilarious and very realistic looking. 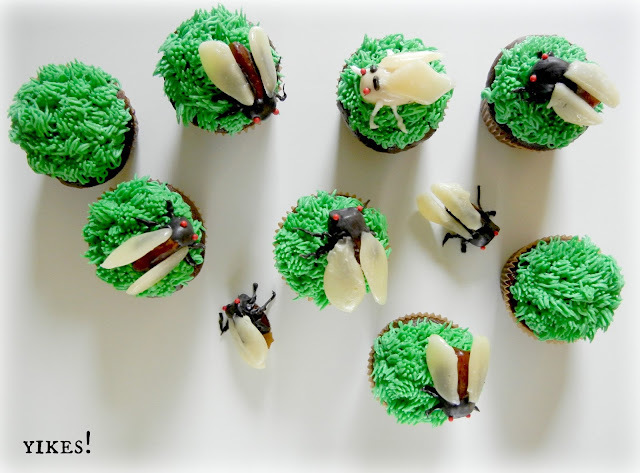 They would make a great gag gift for someone like me, who is afraid of bugs. thanks Beth, they definitely had some of my family freaking out a little! 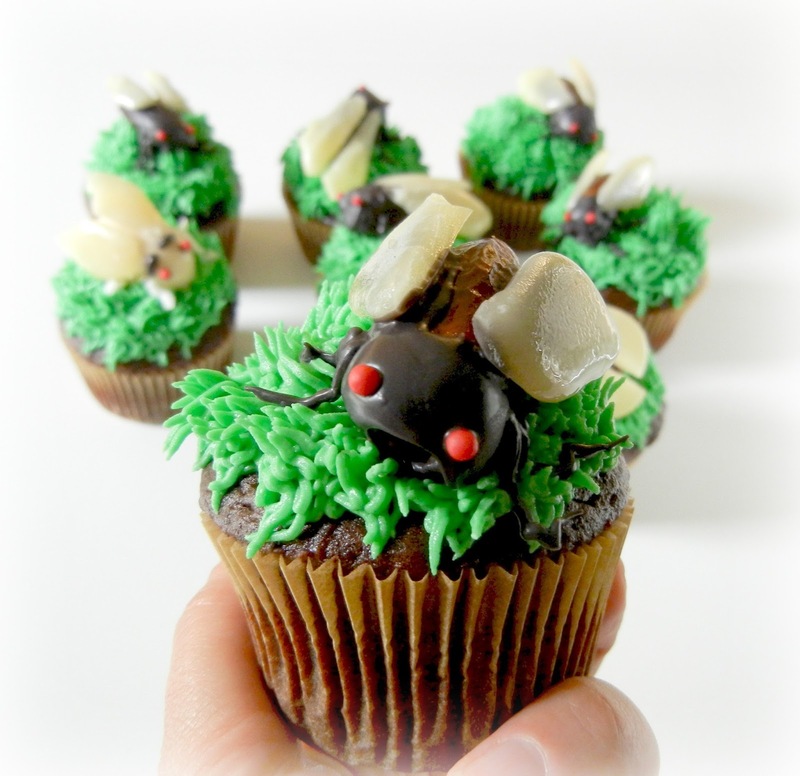 You sure did have an invasion, but it looks like your kids didn't mind:) Your edible bugs look so much like the real deal; Yikes! Good afternoon! 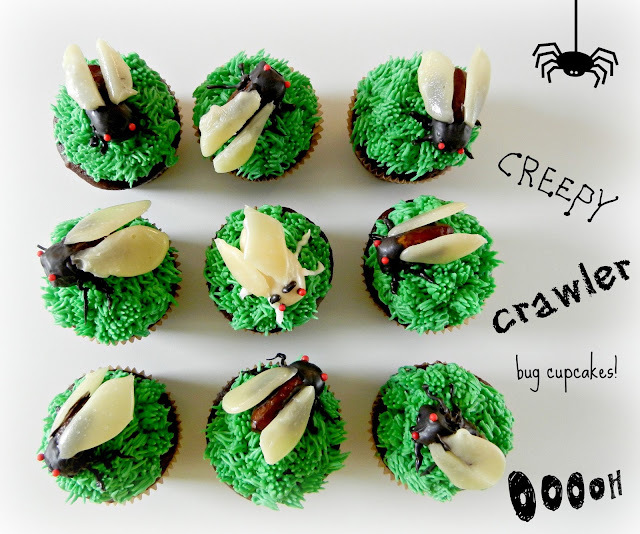 I loved your Cicada Cupcakes so much I featured it in a Halloween recipe round-up on my blog. 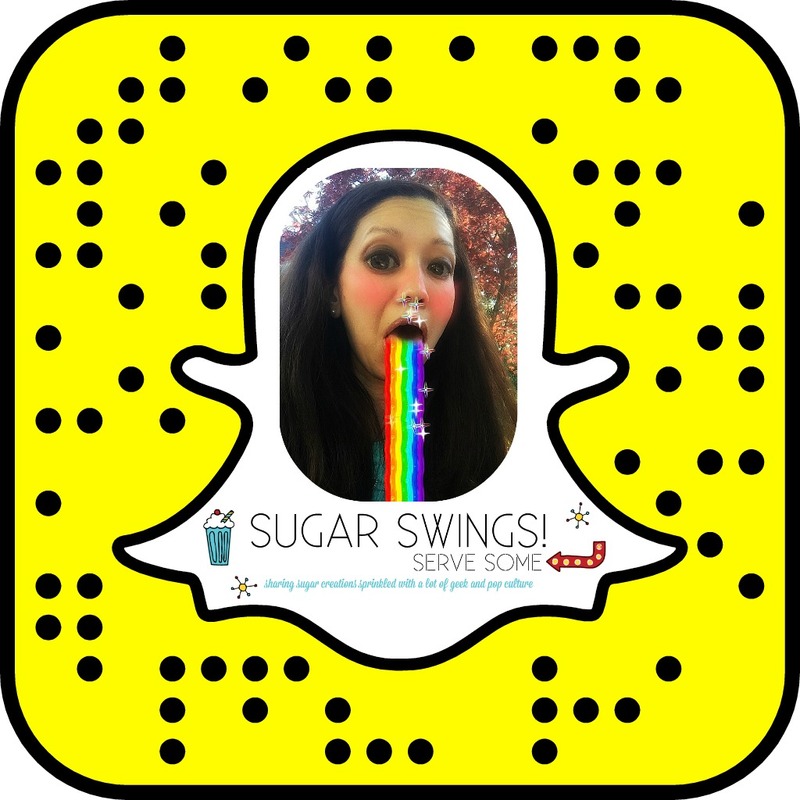 Feel free to paste my button on your post and stop by to check out the other awesome recipes. 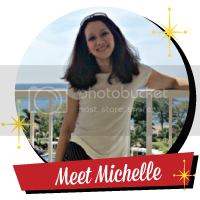 Thanks so much for sharing your creativity!